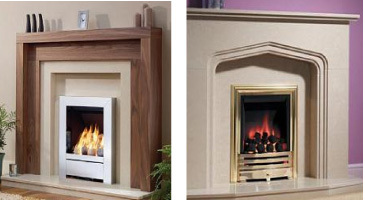 Fitting a fire surround for the first time or as a replacement can transform any room dramatically whether you are trying to create a period or modern look; it is after all the focal point of any room. Together with the variety of genuine marble, granite or agglomerate marble and gas or electric fires available you can create your own unique style and design of fireplace. 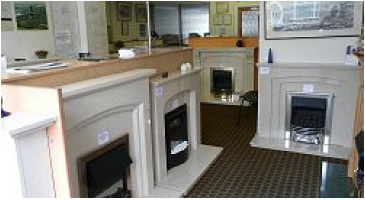 A range of surrounds and various marbles can be viewed at our showroom. 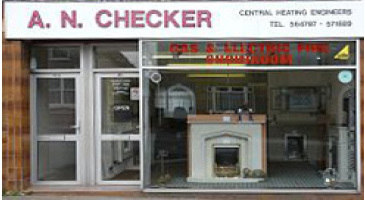 We carry out a supply and fit service or cash and carry only. These beautiful designed surrounds are available in granite, genuine and agglomerate marbles and are manufactured by local craftsmen. Because they are individually made you can have some models made in various sizes within certain limits to suit your own requirements. There is a wide choice of styles and finishes from white through to mahogany in various period and ultra modern designs and in various sizes. Hearths can be made in various sizes, designs, and shapes in a wide choice natural and agglomerate marbles to suit most requirements. 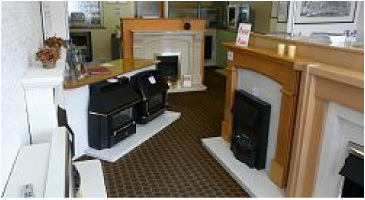 OUR SHOWROOM is open: Mon to Fri 10am - 4pm You are welcome to come in and look around, free from any sales pressure. Information and friendly advice is there for the asking; free brochures and leaflets are available for you to take home.